Program coordinator Avtar Singh Dhillon, Ajay Thakur, PTI, Sudesh Kumar jointly declared the results. In the 100 meter race ( Boys), Azhar Mahmood (KCCEIT) stood first, Sukhwinder Singh (KCPC) got second postiion and Vishal Kumar (KCHM ) held third position, whereas in the girls Jasmine (KCSMCA) first, Anjali (KCPC) and Seema (KCCEIT) has got third place. 200 meters race (Boys) in first Azhar Mahmood (KCCEIT), Rahul Kumar (KCPC) second, Sukhwinder Singh (KCPC) got third. Rita (KCSMCA) in the girls' first, Jasmine (KCSMCA) second and Ramandeep Kaur (KCSMCA) got third position. 400 meters race (Boys), Parth (KCPC) got first, Gurdeep (KCPC ) got second and Karanjit (KCCP) got third position, In 800 meter race (boys), Ikhlaq (KCCEIT) first, Sukhwinder Singh (KCPC) Second, Jatinder Kumar (KCPC) got third position. 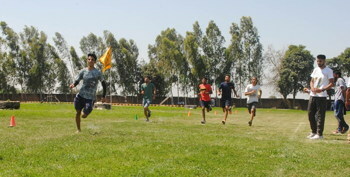 Relay Race (Boys) KCCEIT team first, KCPC second and KCCP took third place. 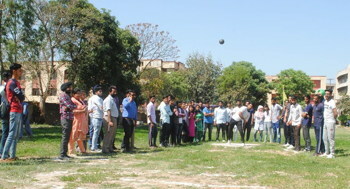 Similarly in the relay race of the girls, the Agriculture Department first, the BCA Department secured second and third position. 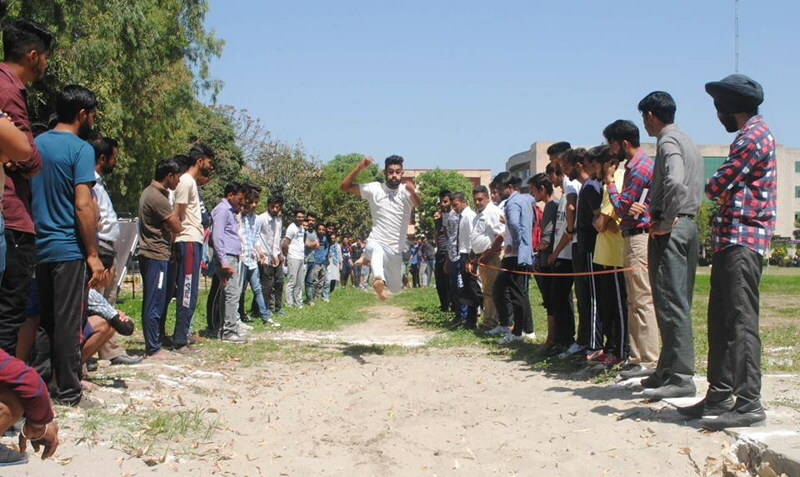 In Long Jump (Boys), Parth (KCPC) got first, Sukhwinder Singh (KCPC) second, Wasim Ahmed (KCCEIT) got third place. 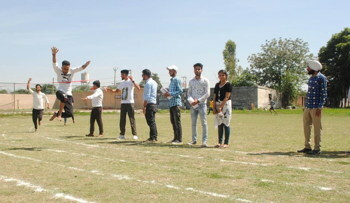 Ramandeep Kaur (KCHM ) in Long Jump (Girls) first, Mandeep Kaur (KCSMCA) second and Ankush (KCCEIT) got third position. In triple jump, Wasim Ahmed (KCCEIT) got first, Khem Raj (KCPC ) got second and Mohammed Touseef(KCCP) got third place. 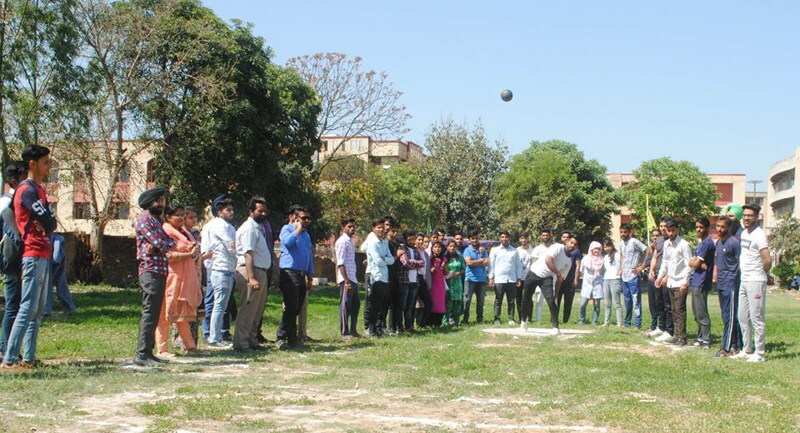 Shotput throw, Punchuk (KCPC) got first, Rajinder Kumar (KCPC) second and Khemraj (KCPC) in the third place, Pradip Kaur (KCCE) got first position in Shotput Throw Girls, Ankush (KCCEIT) second and Nasreen (KCSMCA) got third position. On the occasion, Er. Geetesh Goga, Er.Sumit Chopra, Er. Zuftar Ahmed, Nirmal Ram, Er.Anju Bala, Er. Janardhan Kumar, Surjeet Kumar, Er. Jaspreet, Gurmeet Kaur,Er. Kiranjeet, Manisha and Vipan Kumar were also present.